What happens if a case is over either by plea or a not guilty verdict and the victim or Defendant seeks to have his property returned? Well, Rule 588 is the Rule used by a person whose home or car was searched and property confiscated by the Police. This person is entitled to the lawful possession. Such a motion can be filed in the Court of Common Pleas where the property was confiscated. A Judge will hear the motion and shall receive evidence of any issue of fact necessary in making a decision. 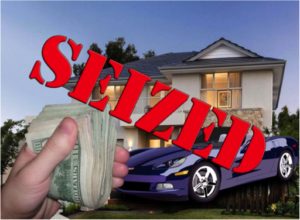 If the motion is granted, the property will be returned unless the Court determines the property is contraband in which case the Court will order the property forfeited. This applies to, for instance, computers, automobiles, perhaps used in a drug transaction owned by a third party who has nothing to do with the illegal transaction.